Fast Paced, Action Card Game!! Perfume labs left and right are testing experimental scents on monkeys all around the world. Are you and your friends going to let that stand? You and your buddies have had enough, so y’all draw up a plan to break into the local lab and free all the test monkeys. The plan goes south real fast though when a beaker of cologne entitled Compete is accidentally knocked over. Suddenly unity gets thrown out the window. 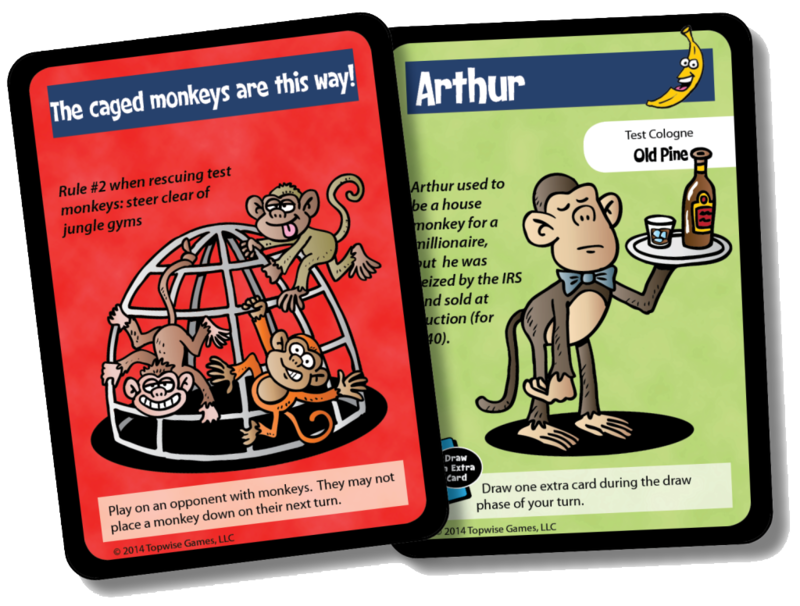 While the goal to free the monkeys is still there, the reason behind the goal has been replaced by the drive to beat your friends in what everyone now thinks is a game. Free the most monkeys and you win! But it’s not that easy. 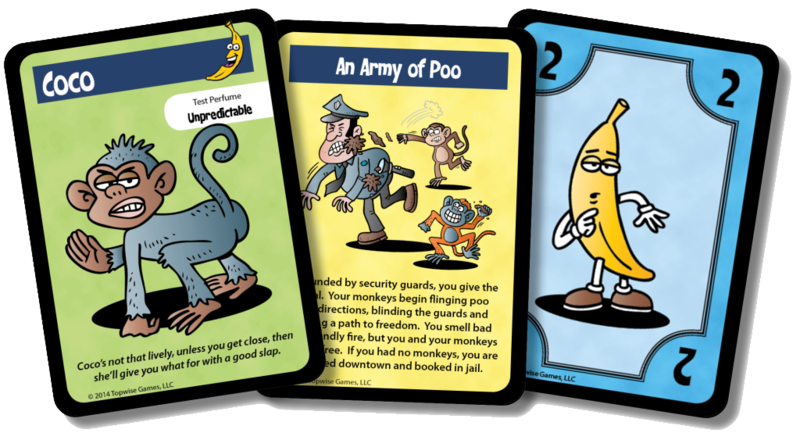 With this fast-paced action card game, your friends will try anything and everything to prevent you from beating them. Banana peels will fly, dancing monkeys will appear, poo shots to the face will sting, but you must press on!!! Take yourself to the brink of potassium overdose as you navigate through the cages, keeping an eye out for any lose monkeys wearing roller skates. When the alarm sounds, draw for your fate and hope for the best. Hopefully….you escape. Monkeys Need Love Too is published by Topwise Games, LLC.